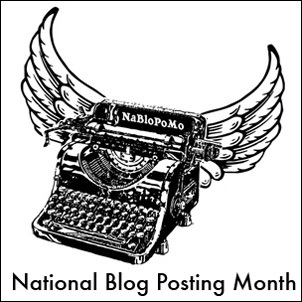 November is NaBloPoMo 2010, that is, National Blog Posting Month. The whole thing started off as a goof based on National Novel Writing Month, the challenge of which is to try to write an entire novel during the month November. Not everyone can commit to an endeavor of such magnitude, though, and so National Blog Posting Month was born. However, after doing a November NaBlo for a couple of years in a row it seemed that a lot of people had found their momentum and wanted to keep going into December and beyond. So now NaBloPoMo is something you can drop into any month of the year, though November is still the biggest month, and is the only month when members donate prizes that are then given out randomly to other members who posted every day in November. Things have gotten a bit lazy here at YFGF.us —only 11 posts in October, including this one, down from a high of 50 in June of 2008. (Curse you, real life!!) So, for better or worse, I accept the challenge. I publicly pledge to post at least once per day, beginning tomorrow, for the duration of November 2010. UPDATE: I didn't make it. UPDATE to the Update; I try again in 2011. A tip of the pint glass to the many bloggers, beer or otherwise, who manage to do this every month. To mention one: Jay Brooks at the Brookston Beer Bulletin. November, thank goodness, hath only 30 days. Cask beer sales are outperforming the rest of the market and real ale is gradually taking a bigger share of the total market. According to the latest Cask Report, sales of cask beer in 2009 remained stable on the previous year – the first time since 1994 they have not seen a decline – and cask ale’s share of the total beer market is up for the third consecutive year. And research suggests that once women get a taste for real ale, they become enthusiastic supporters – women account for 15 per cent of real ale drinkers, but make up 23.4 per cent of the Campaign for Real Ale’s members. Written by award-winning beer writer Pete Brown, the Cask Report is sponsored by UK breweries and related trade associations. There is no analogue in the US. 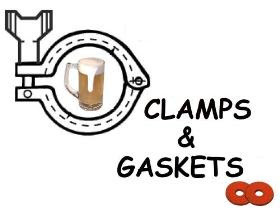 Here, we've been producing cask ale since the inception of micro-brewing, but, despite the success of festivals such as the former US Real Ale Festival and the current New England Real Ale Exposition (NERAX), cask ale has, up to now, filled only a tiny niche. I'm in the business of selling beer, and in the last five years, I've observed a dramatic increase of sales of cask ales (and lagers). Festivals such as the 7th annual Chesapeake Real Ale Festival —recently held in Baltimore, Maryland, run by the only US branch of the Society of Beer From the Wood (SPBW)— are part of that renaissance. The men in attendance still outnumber the women, but that difference is diminishing every year. The percentage of cask growth in the US may appear large, but, beginning as it does from a minuscule initial sample, that figure is misleading. Actual production is small relative to that of bottle and draft. Furthermore, much of this is conjecture and anecdote. 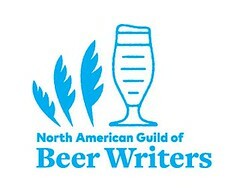 The US-based Brewers Association —an advocacy group for US breweries that produce less than 2 million barrels annually— publishes craft beer figures but does not collect statistics on cask beer production or demographic beer preferences. The term "Real Ale" was coined by CAMRA to refer to cask-conditioned ale. Tip of the beer glass to Lagerheads, who pointed me to the Birmingham Post article. Northern Virginia good-beer lovers receive not one but two early Christmas gift this week and next: two new beer-with-pizza emporia. Ruth Gresser has operated Pizzeria Paradiso at two locations in Washington, D.C. Today, she's opening a third, but in Old Town Alexandria, on the waterfront at 124 King Street. The phone number is (703) 837-1245. METRO: King Street station, Blue Line (and a 20-minute brisk walk down King Street, or a ride on Dash bus system). The pub features a 180 bottled beer selection, 14 draft beers, one dedicated cask ale line, several wines, and, of course, wood-fired pizza. More photos from the soft opening: here. Rustico Restaurant on Slaters Lane in Alexandria gets a twin early next week. 4075 Wilson Boulevard., Arlington, Virginia. METRO: Ballston station, Orange Line. Caveat lector: As a representative of northern Virginia wholesaler Select Wines, Inc., I sell beer and wine to these restaurants. The location was Bertha's Mussels in the Fells Point district of Baltimore, Maryland. The occasion was A Beer Luncheon on the History of Baltimore Brew, one of six main events of Baltimore Beer Week 2010. The speaker was Rob Kasper —long time features (and beer) columnist for the Baltimore Sun (now editor)— offering a concise history of beer and brewing in Baltimore, Maryland from its 17th century beginnings to the early 1990s. In the foreground is an iconic can of Natty Boh (National Bohemian) once brewed by National Brewing in Baltimore, which is, as Rob lamented, long-closed. Without beer there would have been no Star Spangled Banner. William David Gottlieb Yuengling landed in Baltimore in 1822, coming from southern Germany. He soon moved to Pennsylvania, where he would open the Yuengling Brewing Company in 1829, the oldest operating brewery in the United States. Baltimore would eventually be awash in breweries. Just one road —Belair Road (pronounced B-lair)— would be home to over 20 breweries. The Baltimore Sun's H.L. Mencken referred to Prohibition as "the Horror." Jim Mckay began his broadcasting career in Baltimore, announcing Orioles' baseball games, with his given name, Jim McManus. Baltimore Sun features editor Sam Sessa. Discussing the future of craft beer in Baltimore, Klipner and sessa noted that "when beer gets into the city's neighborhood bar —as it is doing more and more— craft beer will have come of age." Baltimore Beer Week founder Joe Gold concluded by pointing out that most Americans, 30 years old or younger, have never not known craft beer. Photo courtesy of Brad Klipner. Posted with permission. More photos of the luncheon: here. The remains of a cask of beer: yeast, hops, proteinaceous sludge. This would be a good reason why never to tilt a cask of beer to pour out the last few pints. When full, this was a cask-conditioned firkin (10.8 gallon) of The Raven (Baltimore-Washington Beer Works). A lager, it's not referred to as 'real ale' but kellerbier. Nearly 40 breweries and 7,000 people attended the Capitol City Oktoberfest, which has been organized by the Capitol City Brewing Company in front of its Arlington, Virginia, brewpub, for the past 11 years. More photos: here. Caveat lector: As a representative of northern Virginia beer & wine wholesaler Select Wines, Inc., I sell the Raven Special Lager. 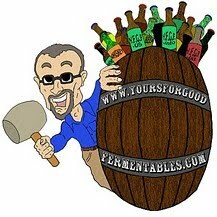 Greg Engert is the Beer Director for the Neighborhood Restaurant Group of Washington, D.C. and northern Virginia. A past English lit major at Georgetown University, Engert oversees the beer selections for eight restaurants and one beer-and-wine retail shop. The jewel in the mini-empire is beer-centric restaurant Birch & Barley, and —just up the stairwell— Churchkey, its accompanying beer bar. Engert arranges the list of 555 beers —500 in bottle, 50 on draught, and 5 served from cask via handpumps— by weight and flavor, a practice often thought (more for exclusive snobbery) exclusive to wine. His categories are "Crisp, Hop, Malt, Roast, Smoke, Fruit & Spice, Tart & Funky," with concise —often one-word descriptions— for individual beers within particular groups. Food & Wine Magazine selected Engert as one of seven Sommeliers of the Year for 2010: the first time the magazine has brought beer on-board its list. Today is Greg Engert's birthday. To paraphrase William Shakespeare (with apologies): "A blessing of your heart, you serve good ale."